Materials Science is an emerging and challenging field to study and acquire the knowledge of materials which are composite to be understood. Materials science has provoked and contributed to the emergence of various nanomaterials, biomaterials, electronic, optical, magnetic materials, piezoelectric materials, ceramics, glasses, polymers, metal alloys, smart materials, semiconductor materials and design of complicated structures through the innovation of technology by the advancements in the study of materials science. 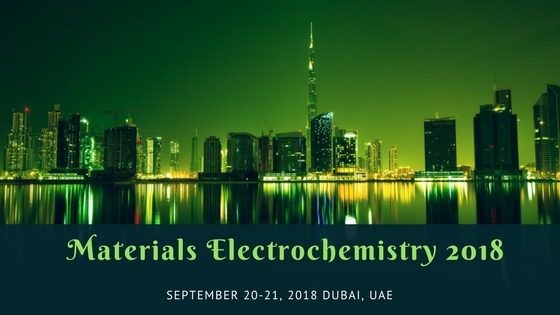 The research in the field of materials science has an exponential growth throughout the globe and the potential of its manifestation has been observed by Conferenceseries LLC conferences on materials science by providing platforms where the latest trends in such researches are accelerated by gathering world renowned scientists under one roof. Materials science conferences all over the world have been organized with the charismatic enthusiasm and the outcome of such scientific event has put forward the novelties and in the engineering sciences and influenced various universities for the adaption of various specialized courses that motivated students, faculty and other academicians to organize academic conferences. © Copyright © 2017-2020 Conferenceseries Ltd All Rights Reserved.